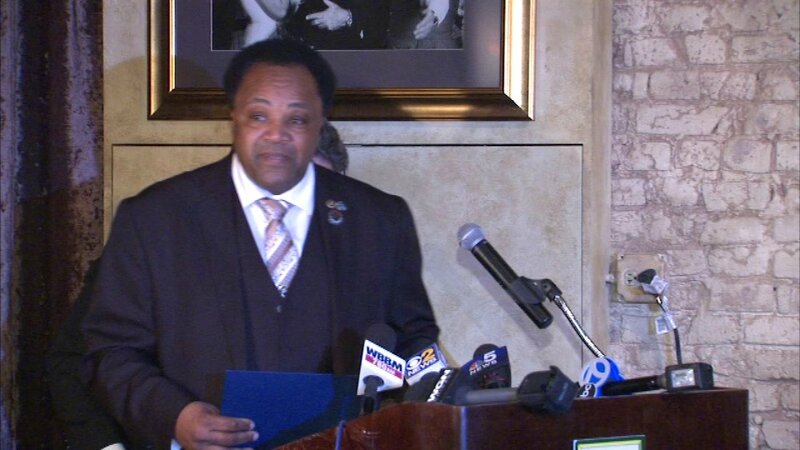 CHICAGO (WLS) -- The FBI honored community activist Andrew Holmes for his service to Chicago. Agents presented Holmes with the FBI's Director's Community Leadership Award on Tuesday during a luncheon at Harry Caray's Restaurant in the River North neighborhood. The award honors individuals and organizations for theirs efforts to prevent federal crimes and their assistance to police. Holmes is one of several recipients recognized across the country. Holmes, who was selected by the Chicago Division, has helped law enforcement fight violent crime in the Chicago area and northwest Indiana. He is an ever-present sight on the streets of Chicago, working as a rapid responder to help generate tips and leads related to crimes. They will all be honored in a special ceremony in Washington, D.C., this spring.